Every marketing professional knows that social media has a very high reach. It acts as an engagement and acquisition platform. We have to connect your target audience and start growing your business. As there is a change in social media strategy, there is a change in reach of the audience as it was during 2017. In the past year, Facebook seduced Snapchat users to Instagram with the addition of stories; the Politicians of all countries are using Twitter to take official policy position in 140 characters (now 2018, 280 characters). As there are more and more brands expanding on social media, the competition on these mediums is increasing, people interaction with spams is decreasing. So, how should marketers’ adept social media marketing in 2018? As we are moving towards recent Year, we are going to count wholesome time spent by users on social media accounts, with big brands that are stabbing in and promising to much larger to sacrifice in social media marketing. 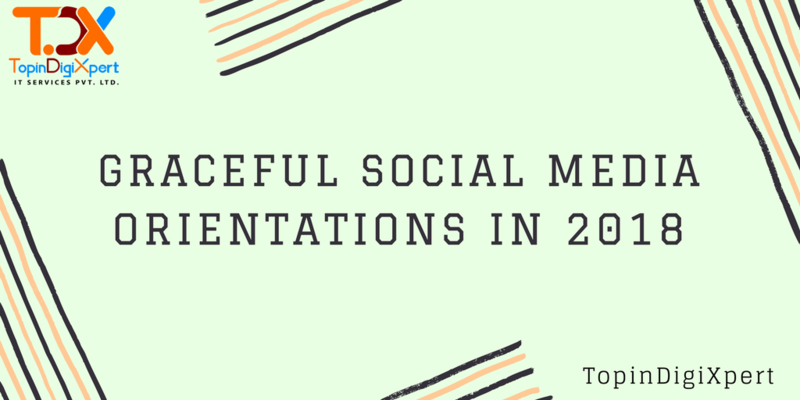 2017 had seen a 60% increase in social media budget over 2016, that is set to continue in 2018. A well-posted content gives more likes, comments, shares or good reach. If you are posting content at a proper time or act according to given schedule you will get proper reach in specified time. 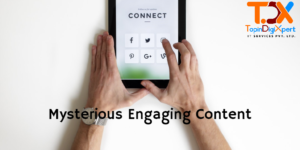 An audience interacts with engaging content when you write a great unique content related to products and services you offer to audience. Facebook: Best Time to post via Facebook is from 12 p.m. to 3 p.m. Monday, Wednesday, Thursday, and Friday. 12 p.m. to 1 p.m. on weekends . Twitter: Best time to post is at 3 p.m. from Monday to Friday. 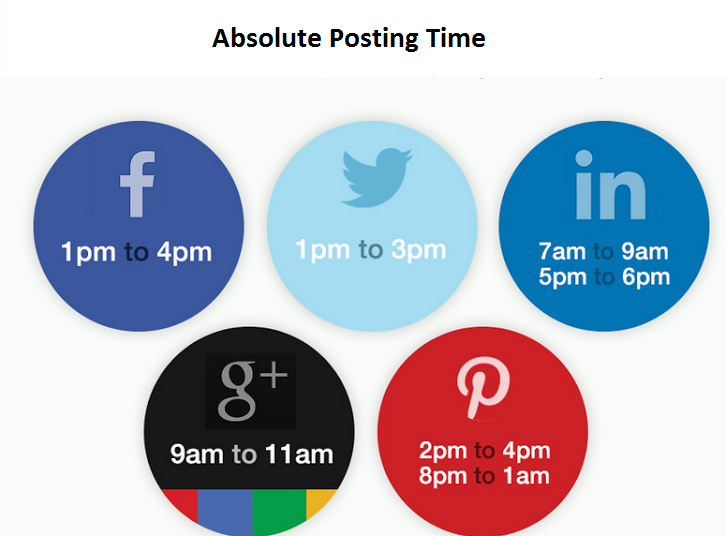 For a B2B organization, the best time to tweet is from 12 p.m. to 3 p.m. on weekdays. LinkedIn: Best time to post is 7.45 a.m., 10:45 a.m., 12.45 p.m. and 5.45 p.m. from Monday to Thursday. To compose an engaging content on social media, we must focus or research on the target market. An important aspect of social media is to increase engagement and acquisition. Content must have irresistible headlines with a storyline builds a better impact on all social media users. Storyline must be unique in creativity to your products and services what we are delivering to the client. Content is the main hysteresis of any social media platform. It plays a lead role in driving customer on a website. Transformation of the real world into an appending pivoted form is called realism of a technological revolution. Nowadays, we are focusing on centered images tapered in such a way that having a 3d effect into a 2-dimensional format. Augmented reality is a technology that superimposes computer-generated enhancement upon an existing reality in order to make it more attractive. AR is developed into apps or used on mobile devices to blend digital components into reality. We are using this peculiar technology in images for attracting customers as it will be a latest emerging technology where we share images with the 3d effect but 2-dimensional size. Snapchat is already on board, combining up with bitmoji that allows users to project animated versions of that has let players catch the beloved pocket monsters in their real surroundings for a couple of years now. AR can change the future scope of the market as it will make images more casual and look sober in reality with 3d effect with it. We are likely to see new orientations in 2018 as a scenario of the live streaming video is changing continuously with new updates. In today’s technological focus world it’s clear that today’s world is daunting and confused every time new software with a new feature is released. Marketers have to adapt and accept a new market scenario of the updated environment. The scene of live streaming is not from its gaining popularity, but the technology is updating itself day by day. Day by day we are getting more improved mobiles, phones with extra and clear picture quality mean better and more featured video recording. In 2018, more brands will begin to harness the harness the power of live streaming and will incorporate it into their monthly content plans. An audience is the most important key factor in social media. Knowing your audience is the most important task on social media platform in decision making. Social media can positively impact your SEO ranking in search engine results page. The type of posts that work for your needs can be tailored to the audience for engagement and acquisition. The time factor is also important while you are marketing content on social media. Social Media is the best platform to drive the audience to your website in a peculiar way. Hi! I’ve been reading your site for a long time now and finally got the courage to go ahead and give you a shout out from New Caney Texas! I have to express appreciation to this writer just for bailing me out of such a trouble. Just checking throughout the search engines and seen your blog and found it very informative. I’m not sure what I would’ve done if I had not discovered your blog. Thanks a lot so much for sharing this information. I won’t hesitate to recommend your web page to anyone who will need care on social media issue. Its not my first time to go to see this site, i am visiting this web page daily and get good data from here all the time.